Dog ownership comes with a handful of responsibilities that are commonly known when it comes time to consider adopting a dog. Training, vet checkups, and proper diet just to name a few, but there is one issue that can be easily looked over - proper socialization. Lack of socialization in dogs, specifically in their teen years, can lead to serious issues, and can even make simple trips to the groomer a nightmare. When dogs aren't properly socialized, interactions with humans and other dogs are an unfamiliar territory which leads to an anxious and sometimes aggressive behavior. Just like humans need to vent their feelings from time to time, dogs need to do that, too. They need to be around their fellow pups that will act as their friends; they can express their feelings and additional adrenaline with them. Dogs that are not social enough may face several different diseases because of a lack of venting. They may have a sad heart or a weak digestive system that can cause significant infections that can be life-threatening. It is imperative that you take your dog to the vet every once in a while, or as much as suggested by the professional himself. Veterinarians attest that poorly-socialized dogs have a harder time getting examinations. They need the moral support of their species, so that they can have an easier time getting through checkups. Moreover, dogs who struggle on trips to the vet will not have accurate results for various tests, such as their heart rate and palpitation. Exercise is a great way to get out and help your dog get socialized. It's suggested that dogs need at least one hour of exercise a day. Just like humans, the more we push off exercising, the easier it is to have lazy tendencies. That being said, dogs that don't get proper socialization most likely won't have regular exercise and outdoor exposure, which leads to lazy tendencies in your dog. A lack of exercise in dogs can cause severe damage to a dog's joints and to its health. Furthermore, a lack of activity can cause your dog to gain weight and be obese, which will, in time, be the cause of significant health problems in the dog. One of the most important things that your dog requires is grooming. Grooming can help your dog's health and well-being. However, dogs that lack socializing are often not accustomed to this kind of exposure and will leave an unsocialized dog uncomfortable and nervous. Grooming of the dog also prevents injury and maintains their fur and skin, leading to better health. Professionals sometimes prefer tranquillizers to assist in grooming the animal, but this seems to be dangerous to their health if often done. Hence, socializing also helps the dog keep itself clean and groomed. 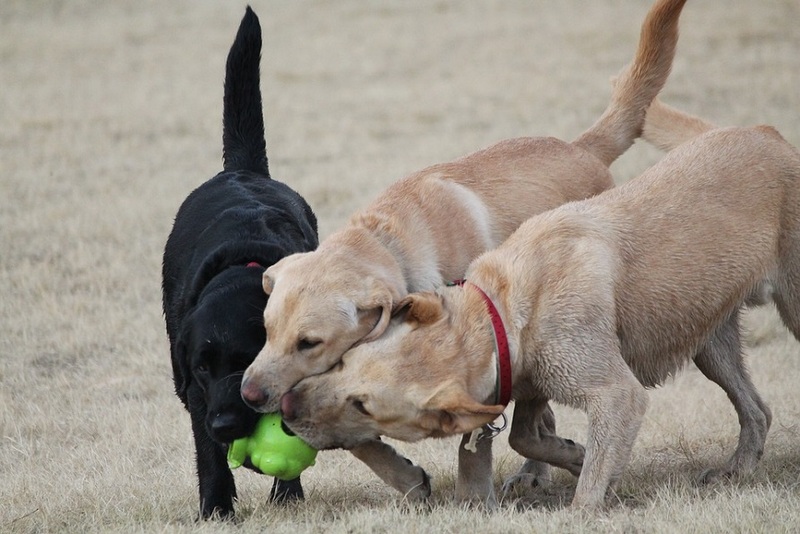 Just like human beings, it is imperative for dogs to have social interaction with other dogs and environments. A lack of socializing will cause dogs to have various problems that eventually lead to health risks. Adopting a dog comes with a lot of responsibilities, such as consistent training and socialization, so that the dog is well behaved and avoids serious problems. Matt Barnett is an avid dog enthusiast and blogger. When he isn't working on the Dog Dojo, you can find him on an adventure with his three dogs. Copyright © 2017-2018 Barbara Murray. All Rights Reserved.